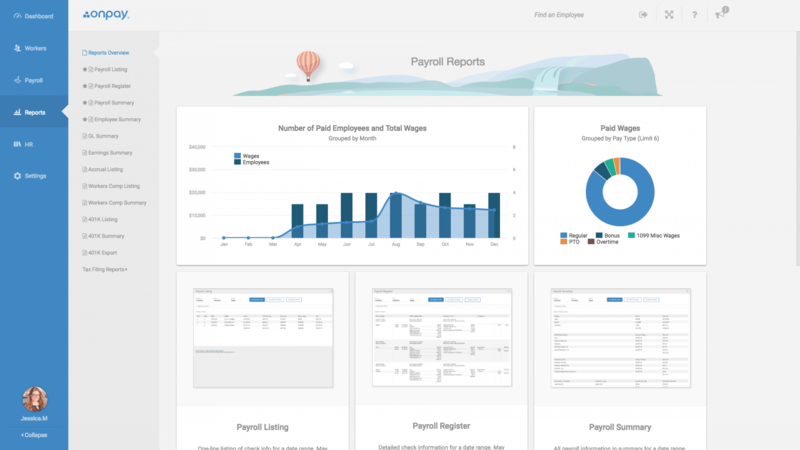 Growing businesses love OnPay for payroll, HR, and benefits. Rated “Excellent” by PC Magazine, OnPay makes payroll simple, saves time on HR tasks, and offers integrated employee benefits. You can also share payroll data with Xero and Quickbooks, which makes it easy for Acuity, too. OnPay simplifies everything in your back office to help you save time and money. 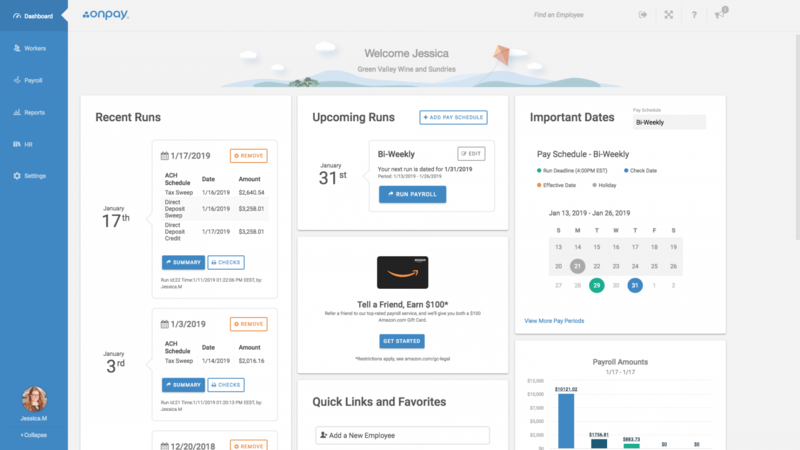 It lets you run payroll and automate filings, onboard new employees, and sync with accounting and time tracking software for a low monthly fee of $36, plus $4 per employee. Streamlined, intuitive payroll processing All taxes are filed and paid for you Guaranteed accuracy for all tax filings and payments Pay W-2 employees and 1099 contractors by direct deposit, debit card, or check Employees onboard themselves and access their own accounts Run payroll for any business with one to 1000 employees, and handle the payroll needs of restaurants, nonprofits, churches, and farms. Free migration of employee info and prior wages during account setup. Use self-onboarding tools to have employees to fill out W-9, W-4 and employment eligibility forms electronically. These forms (and other HR documents) will be stored in each employee’s account. Track PTO accruals, plus manage and calendar employee requests for PTO Create a HR paper trail (or just give a shoutout) with in-app messaging Formalize your agreements with a free library of HR templates Add on integrated pay-as you go workers’ compensation to protect your business and stay compliant with state laws. OnPay’s in-house insurance brokers can help you pick health, dental, life, or disability plans that fit the needs of your business. No employee census needed, the administration is simple, and payments are deducted each time you run payroll. OnPay also offers fully-integrated 401(k) plans from top providers. Get all your finances in place instantly by syncing OnPay with top back office software. Whether you use QuickBooks or Xero for accounting — or TSheest, Deputy, or WhenIWork for time tracking — OnPay has you covered with over a dozen automated integrations. These integrations also make it easy for Acuity to manage your books and give you a clear picture of employment-related expenses. Run unlimited payrolls, pay your taxes, and integrate with other software for one simple fee. $36, plus $4 per month covers everything OnPay does. There are no tiers, no additional fees for tax filings or integrations, and no ongoing charges when an employee is or contractor is inactive. OnPay is “an easy, quick, mobile-friendly system that doesn’t require a steep learning curve,” according to Entrepreneur’s list of the best small business payroll solutions. Try it for free today and OnPay will even import all of your employee data and prior wages for you. From entering data to calculating payroll to syncing with other apps, OnPay is designed to reduce clicks, waiting, and duplicated tasks. 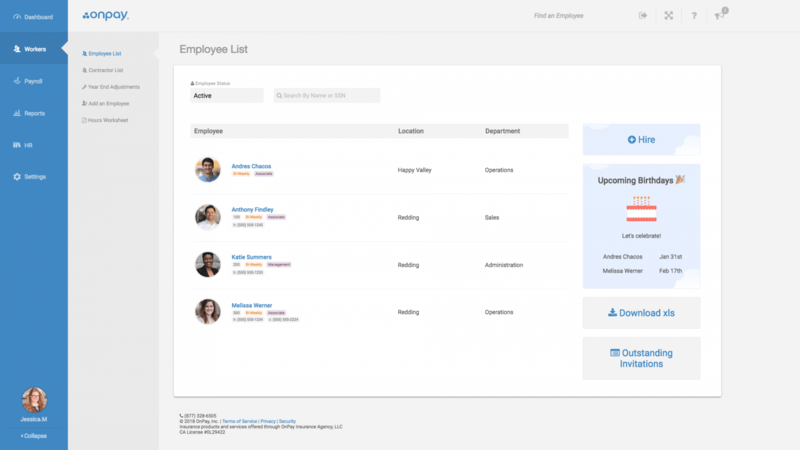 OnPay’s full HR suite gives you everything you need to manage your team and stay compliant. You can also set up benefits and workers’ comp without adding too many to-dos. By partnering with Acuity, you’ll get all the information you need to manage cash flow and plan for the future. OnPay makes it easy to share data with other apps, and it also includes 25 custom reports for evaluating payroll expenses. Learn how OnPay can help your business. 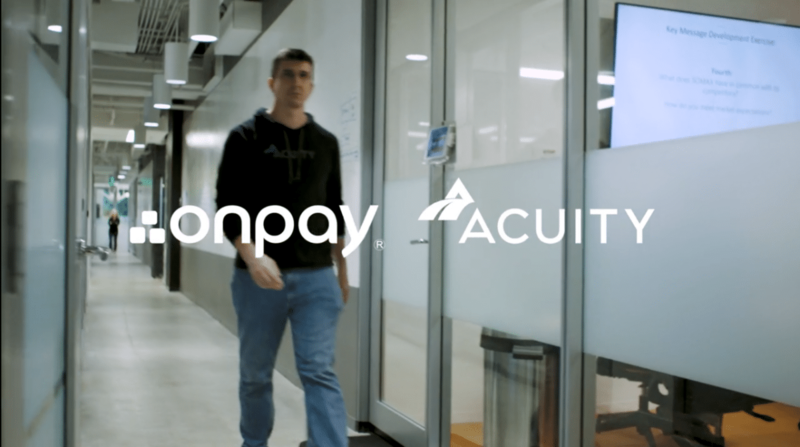 Get started with OnPay + Acuity today.